How Capgemini delivers business value through voice activated technologies. According to Capgemini, Conversational Commerce promises to fundamentally alter relationships between consumers, retailers and manufacturers. It is the next big battlefield for the hearts and minds of shoppers. For retailers and consumer goods manufacturers, it presents the opportunity – and the challenge – of developing deep, sticky brand affinity with an ever-growing cohort of shoppers. To realize the full potential of being a leader in Conversational Commerce and building the resulting trust-based relationships with consumers who are early adopters, more than tactical investments in technologies are needed. Conversational Commerce should be looked at as a new line of business with impact and value creation across stores, e-commerce, marketing, and supply chain. It demands that retailers and brands for the first time invent their physical voice, learn how to acquire and engage customers through voice, manage the related data and analytics, leverage advanced technologies such as AI, investigate how to incorporate voice into their stores, explore hardware and software solutions, and more. The potential is great, but focused effort is required to not only evolve the technology, but also the surrounding business. 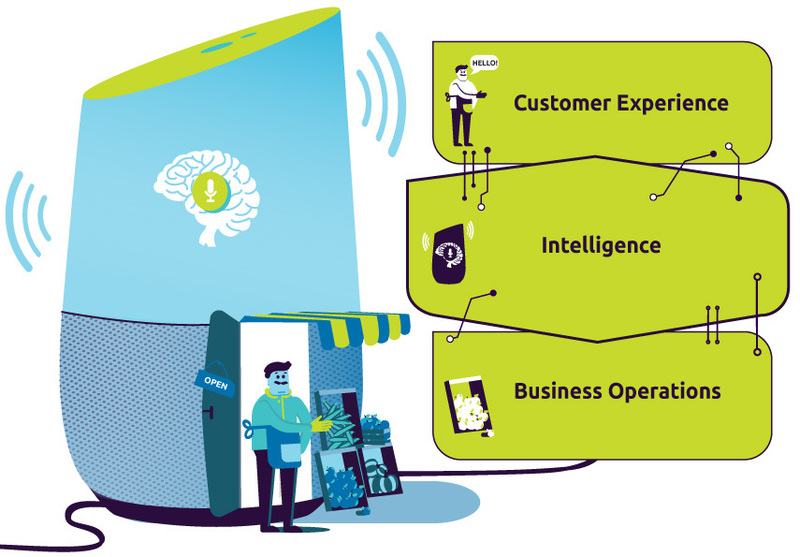 The Capgemini Conversational Commerce Business Capability Model (image shown) can help. Capgemini believes that Conversational Commerce is the single biggest opportunity for brands to act like people in digital channels. And brands acting like people is the single biggest way to build customer engagement and loyalty. Capgemini recognizes the value of Conversational Commerce in driving deeper, more human connections at scale. It has the potential to build a different level of relationship, engagement, and brand affiliation. Rather than being a threat to existing operating models, Conversational Commerce is an opportunity to create new value for consumer-focused industries. Contact capgemini.marketing.au@capgemini.com to learn more, or to connect with one of our Conversational Commerce experts.